Google has yet to make the Material Design settings page standard, but you really should switch to it now. Google is still hard at work on developing its Material Design overhaul for Chrome on PCs. 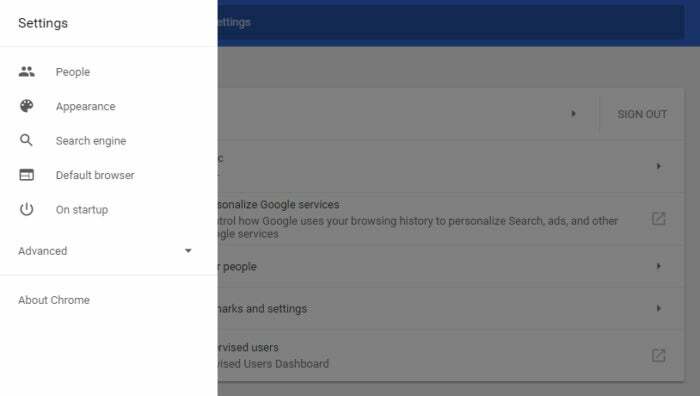 About a year ago, we looked at how you can activate Material Design for Chrome’s settings page, and a few other parts of the browser. If you haven’t made that switch yet, I’d suggest that now is a good time to do it. Chrome’s Material Design settings page. 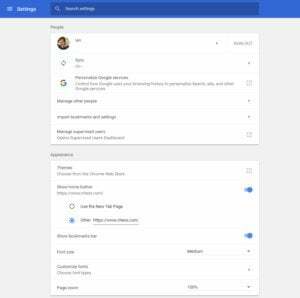 A year ago, the Material Design look for the settings page was nice, but it wasn’t anything to get excited about. That has since changed. In my opinion, the Material Design look for the Chrome settings page now makes it much easier to view and understand the browser’s various options. The actual wording of each setting hasn’t changed much (if at all). The overall look, however, is much simpler and more organized. To get started, type chrome://flags/#enable-md-settings into Chrome’s address bar and hit Enter. The setting, entitled Enable Material Design settings, should now be highlighted. Click the drop-down menu, which should currently say Default, and select Enabled. A Relaunch Now button will appear at the bottom of the page; click that to restart the browser. When Chrome comes back, click the menu icon in the upper-right corner (the three vertical dots), and select Settings from the drop-down menu. 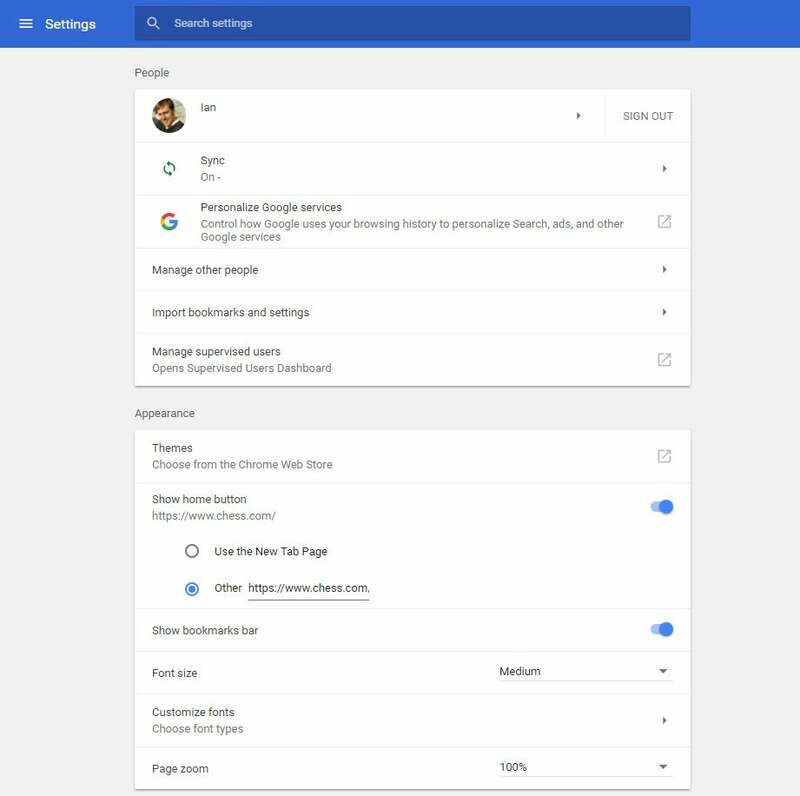 The result should be what you see above, with an overall look similar to the Google Account settings page. The menu in Chrome’s Material Design settings page. At the top of the settings page is a bold blue header with a “hamburger” menu icon on the left and a large, prominent search box at the top. Click the menu icon and a panel pops out from the left allowing you to navigate quickly to the major sections of Chrome’s settings including the Advanced options. The search box, meanwhile, is another way to quickly find what you’re looking for. Type a query and the search results automatically generate as you type, allowing you to jump to any part of the settings menu. If you prefer to look through the settings manually, below the blue header there is a single column of settings. The various options aren’t all that different, but the new design makes it easier to read and understand what each setting does. If you’re a regular Chrome user it’s well worth your time to enable the new look, and while you’re at it try chrome://flags/#enable-md-extensions for an overhauled Extensions page.